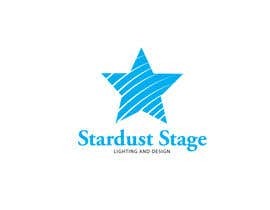 I have a custom stage lighting design company called "Stardust Stage Lighting and Design". 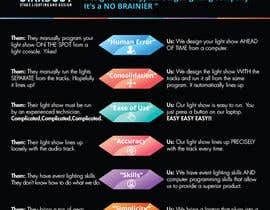 We program light shows and sync them to audio tracks. 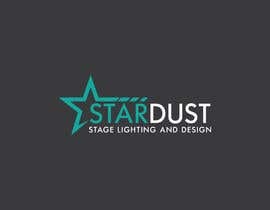 Our service makes the process of doing a light show for an event much easier than the regular way of doing it. 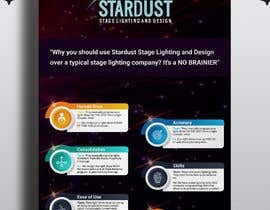 I need a custom infographic that clearly shows how much better using us is over using a typical lighting company. 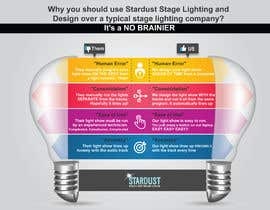 I would like the infographic to show different aspects of hiring a lighting design company and why we are better in each category. 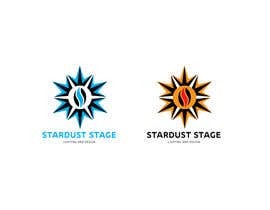 I'd like the graphic to look good and have a light hearted and fun feel to it. 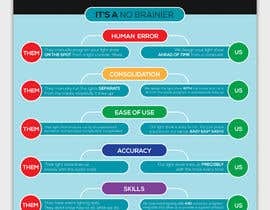 Each section should have a graphic example. 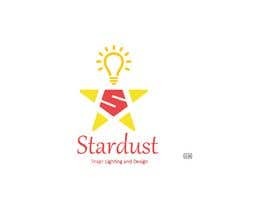 Here is what I have in mind. 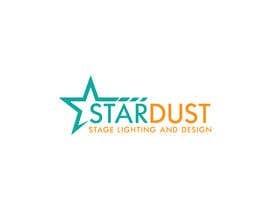 "Why you should use Stardust Stage Lighting and Design over a typical stage lighting company? 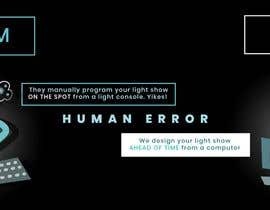 It's a NO BRAINIER"
Them: They manually program your light show ON THE SPOT from a light console. Yikes! 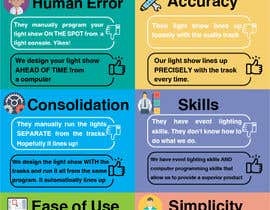 Them: They manually run the lights SEPARATE from the tracks. Hopefully it lines up! 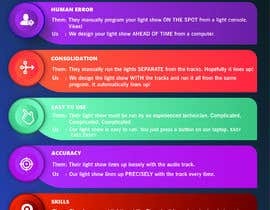 Us: Our light show is easy to run. You just press a button on our laptop. EASY EASY EASY!! 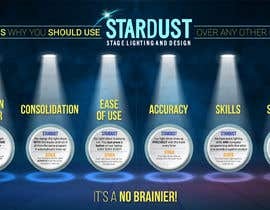 Them: They have event lighting skills. They don't know how to do what we do. 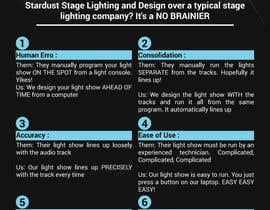 Us: We bring a laptop that plugs into a very simple DMX box. Kindly check #131 and #191 . 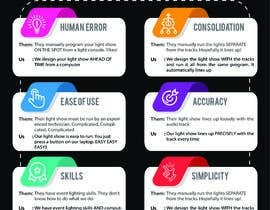 The text is more readable with cool graphics. Let me know if need any changes. Hope you like #200 . Best wishes! Dear sir... please see my file #122 if you need to change anything please let me know. Thanks a lot. 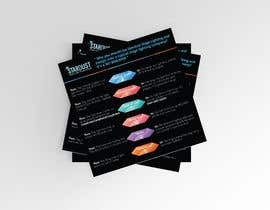 Do you need an image or video infographics?